Professional Training in your Home. Training Methods: Our training methods are based on praise and motivation. There won’t be any hitting, yelling, or hanging your dog. “If the tail isn’t wagging, your dog isn’t learning.” A lot of kisses and hugs go into our training to keep up your dog’s confidence and self esteem. Do You Offer Group Classes? No. 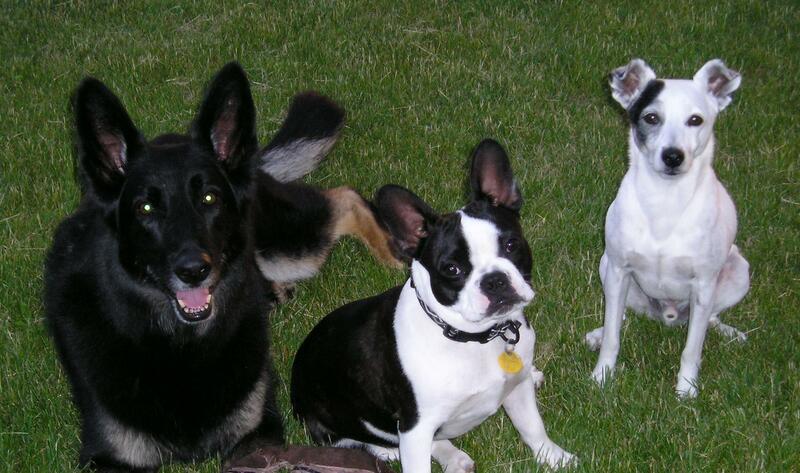 Grouping dogs together in a class situation can be very confusing for your dog and frustrating for you, as owners. Every dog, regardless of breed, has a unique personality that requires individual attention and training by a certified, qualified individual. This will also give you the opportunity to train at your own pace without feeling rushed or left behind. Don’t worry. You won’t be missing out on socialization or distractions. They are a large part of the training. Your dog will feel confident and will respond in all types of situations, once the training is completed. Training Packages: We have a variety of packages available for your budget and training needs. You will have different commands, guarantees, and levels of obedience to choose from. You choose as much or as little as you want. Give us a call and we will be happy to send you a list of packages and prices. 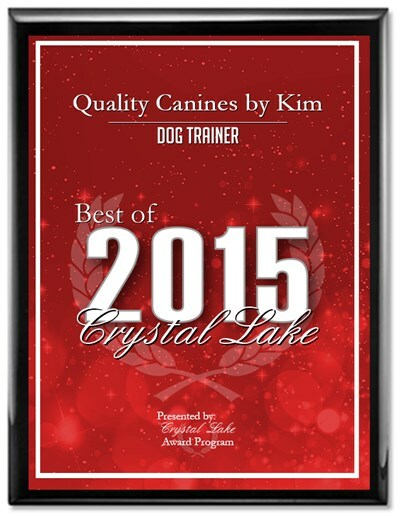 Quality Canines by Kim is committed to excellence. All training packages come with a guarantee. We will be there to help You whenever you have a question or problem. You no longer have to worry about your puppy going through all of his adolescent stages of life alone. We will be there every step of the way. If you’re having problems, just let us know and we will come out free of charge until the problems are solved. Behavioral Problems: Is your dog chewing, jumping ,play biting, digging or having other annoying behavioral problems? Don’t worry! No matter how large or small, all behavioral problems are covered in each training package. Special Needs: If there are any special commands you would like your dog to learn, such as automatically sitting at streets, show commands, or even retrieving a can of pop from the refrigerator, just let us know and we will do it. I can customize and create commands to fit any unique situation or need. Kim Ryan-Mueller is also certified in support work for the disabled. Please feel free to involve all of your loved ones in the training. Dogs are highly Intelligent animals that need guidance to learn how to Interact effectively with their families. Most pets are kept indoors and treated like members of the family. Unfortunately, many untrained dogs are more often an embarrassment to the family and a nuisance to friends and neighbors rather than the obedient companions they can be. Communication is the key to success. Bad behavior is usually due to miscommunication. 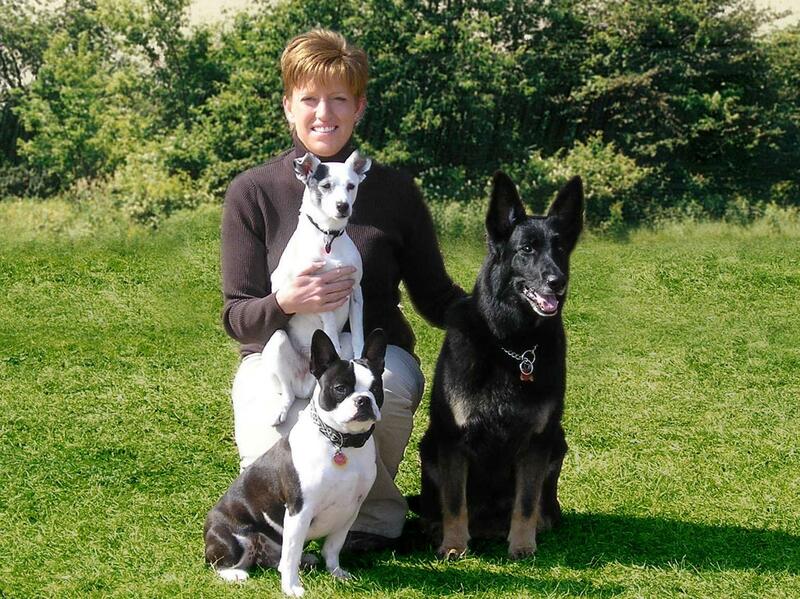 Our Training programs teach you how to effectively communicate, build a positive relationship between your family and dog, and eliminate negative behavior. 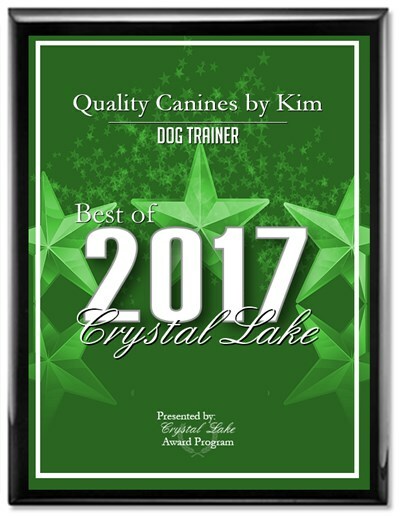 Quality Canines by Kim specializes in professional, in-home, one on one training for all breeds, ages, and temperaments of dogs. We work very closely with the whole family, even small children, to ensure the best possible training for everyone involved. Each member of the family will receive hands on, personalized training that will meet your dog’s age, personality and temperament.